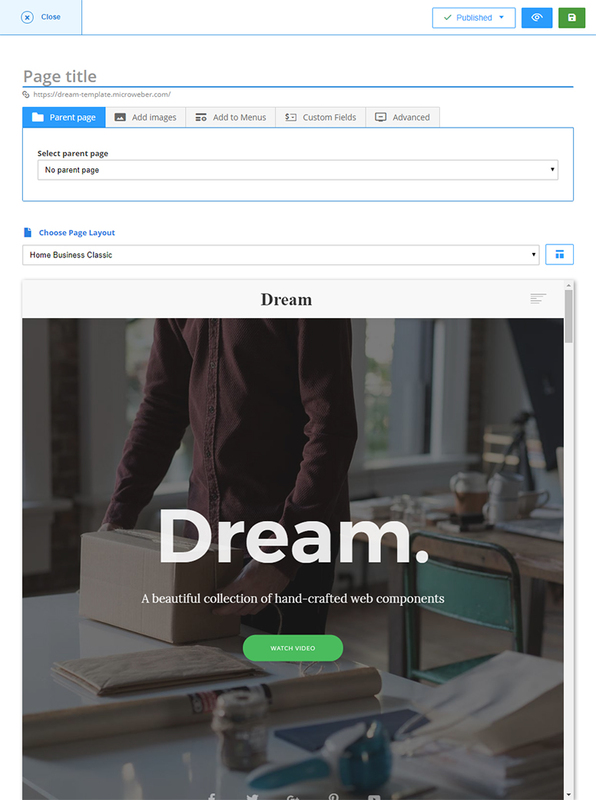 Add Pages, Posts, Categories, and Products in your Microweber website without the need for coding. With Microweber, adding a new page is a very simple task. You have a number of ways to do that, depending on your preferences and sense of comfort. One way to navigate your mouse on the "+" button next to the "Page" link in the left menu on your screen. The second option is to use the "Add New" is to use the button on the top. 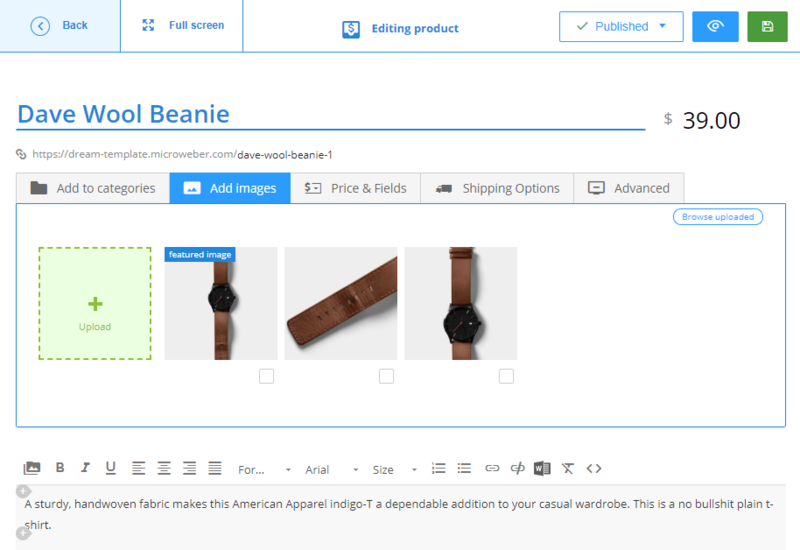 When you click on it, you will see a menu, where you can choose between adding new "Page", "Post", "Category", "Product". All you have to do is choose the Page icon and you are ready to create it. Once you are in the "Add New Page" screen, give your page a title. Here's what you need to know when adding a new page. First, the page must have a title. To make it a sub-page you have to select from Select parent page - parent page. Most importantly, choose a page layout. From Page Layout define the style of the new layout. Whether it's a blog, whether it's a service, whether it's a contact us or just a clean page where you can drag and drop. Adding a new post is just as easy as adding a page. You can use the full-screen stretch button to focus on writing the text. That's what it looks like. There is 3 status of posts, it can be published, unpublished or you can delete it. This happens from the button at the top. You can also add a category or subcategory again from the Add New Button. 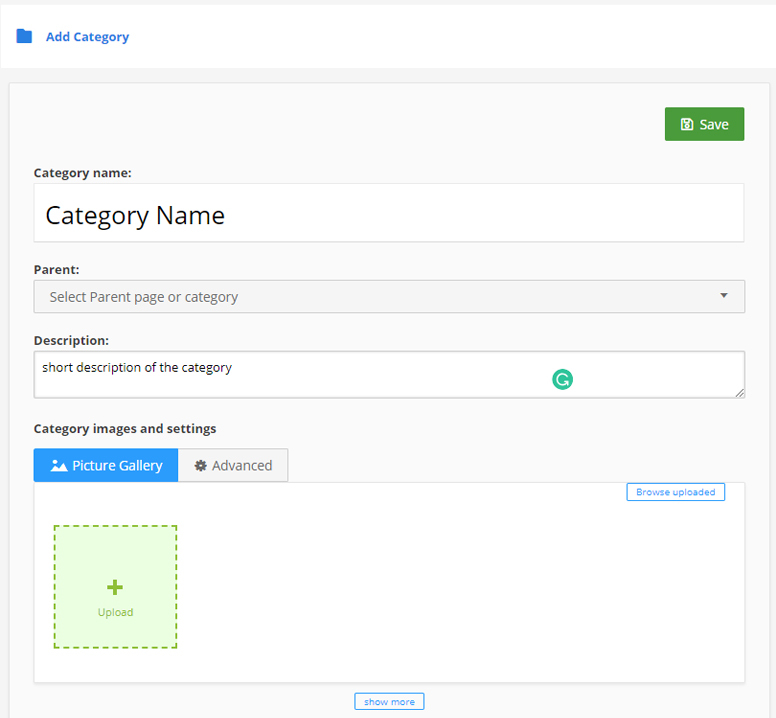 Create categories to organize the content on your website. 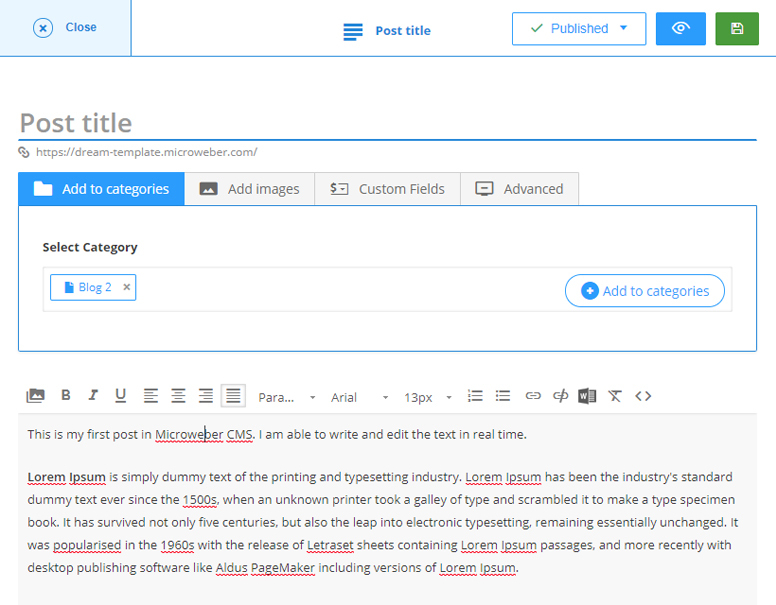 Categories are visible on the website navigation and in the tree for easier structuring of the content. Microweber comes with an integrated online store for free. So you can add a product from the button add a new one. 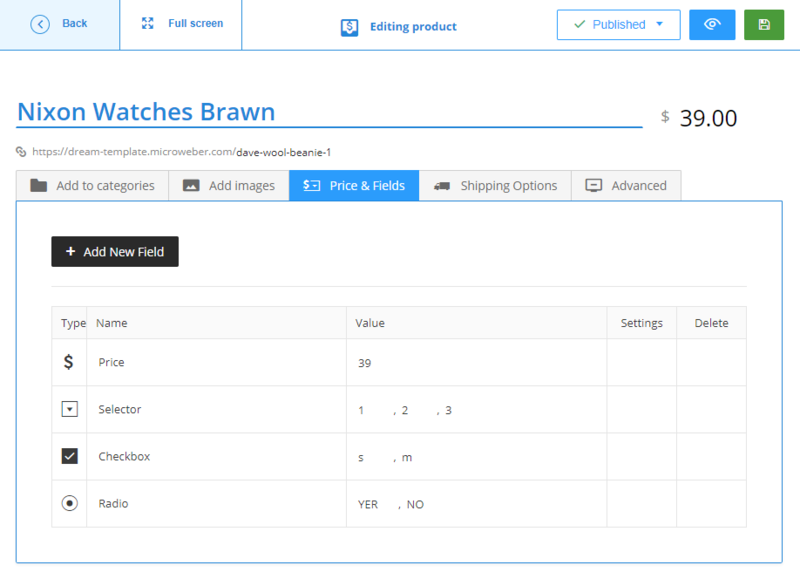 When adding a product from an admin panel, you can add the product to different categories, add product photos, put prices and custom fields, for example, size, color, an extra price, and more. You can add different values ​​to your store or site using the various Custom Fields that Microweber supports. 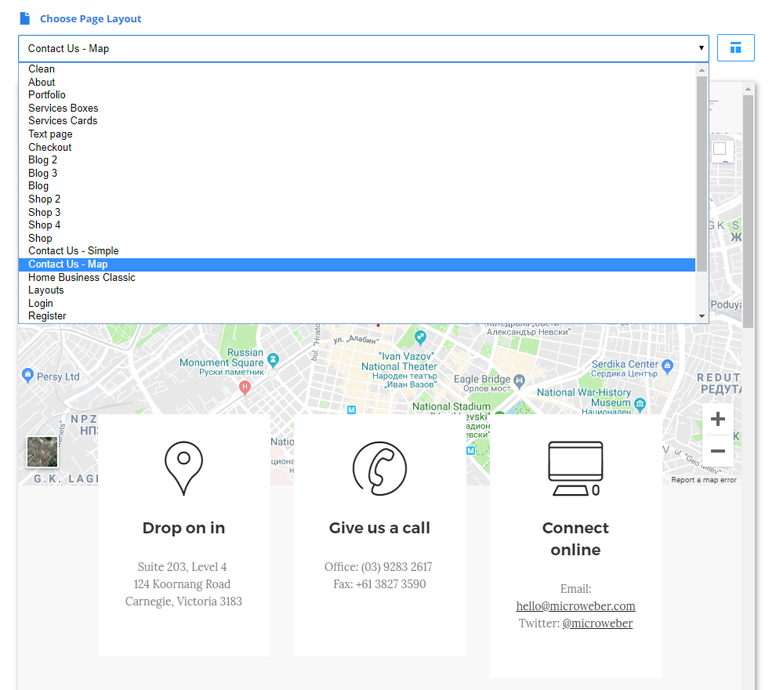 For example, you can add a New Price, Text Field, Radio Button, Dropdown, Multiple Choices, Number, Phone, Website, E-mail, and Address. You can use it to create custom forms with multiple fields and variations. A full e-commerce solution for online business, create your online store with Microweber.